On fresh installation of Arch Linux, i realized that every time i insert an External hard drive or USB stick, it will mount as read only. This need to be fixed since you basically use External storage as a Backup for data and when mounted with read only permission,there is less you can do with it. The remaining thing was to auto-mount my External Hard drive so that i could transfer files to and from it smoothly.This can be used for Ubuntu, CentOS and any other Linux distribution with variations only in group names and package to install.This guide is biased on External disk storage with NTFS partition format since it always have problems. First make sure you have usb_storage kernel module loaded. 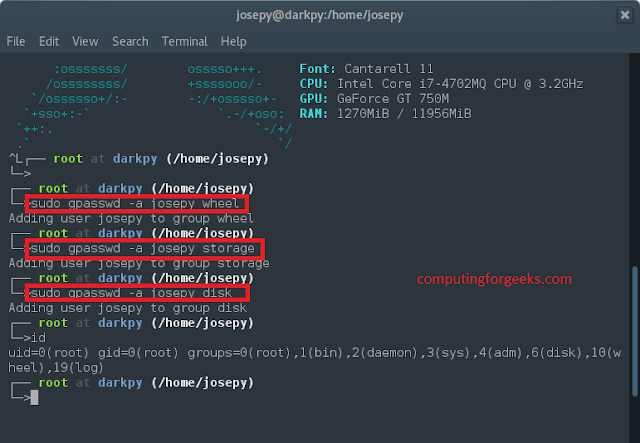 Since i would like to mount and access my External storage devices using standard non-root account, i have to make sure that i am a member of both wheel, disk and storage system groups.Replace josepy with your username. Next step is to install ntfs-3g package; which is an open source implementation of Microsoft’s NTFS file system that includes read and write support. If you restart your computer now, External storage devices should be mounted without any problem, both NTFS, VFAT and Ext4 format systems. Replace josepy with your username. The mount command /usr/bin/mount.ntfs will be used. NTFS partition(s) can be setup to mount automatically by specifying mount rules in static filesystem configuration (fstab) or by the use of udev rules. The add the line below at the end of the file. /dev/sdb1 with your device location. /mnt/mountpoint with mount point you created before. umask: Sets file permissions on newly created files.Default umask for root and user is 0022. 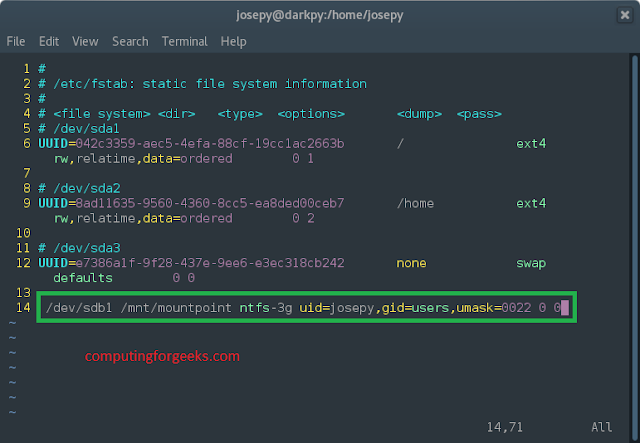 With this umask,new folders have the directory permissions of 755 and new files have permissions of 644.
gid: Group id of users with full access to partition. 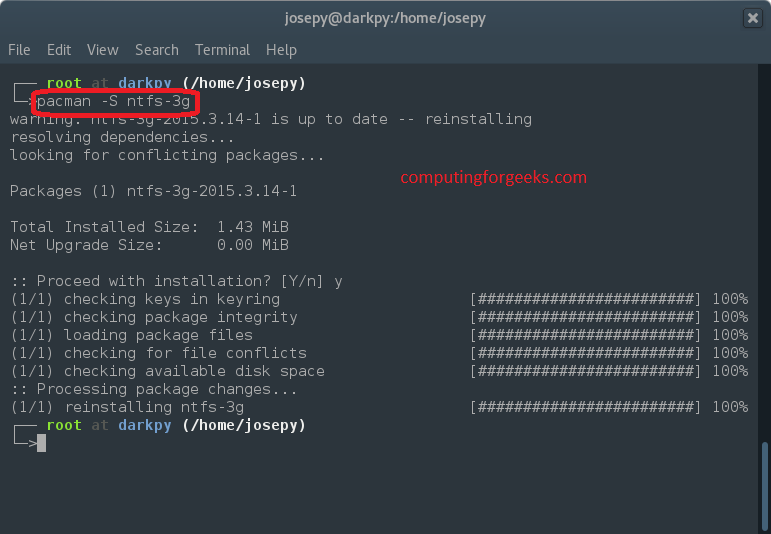 To prevent NTFS entries in /etc/fstab from getting mounted automatically at boot use noauto option. Remeber to substitute josepy for your username.